A leaning chimney can be a very dangerous problem for your home. If it is leaning away from your home you may find that it is a sign of a foundation problem and leaning in it may be a sign of structural problems. Either way, you know you have a problem that needs to be addressed immediately. We can help you with all the problems associated with your leaning chimney. We can fix brickwork if needed on your chimney but we also do foundation repair to resolve the root of the problem. We offer masonry and brickwork services to fix any bricks or mortar that you are having problems with on your leaning chimney. We also offer brick re-pointing to fill in voids in the bricks with matching mortar. These are jobs you don’t want just anyone to do. You want a masonry professional to assess the problem and provide you with the most cost-effective fix. Contact us today and we can provide you with an estimate. We have to get to the bottom of what is causing your chimney to lean. If could be a foundation problem. 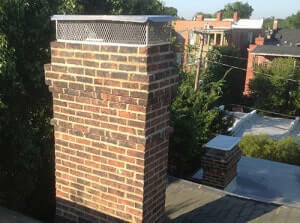 We can install helical piers at the base of the chimney to provide strength and support for your chimney. We can also take a look around your property and foundation and look for other signs of foundation failure such as wall cracks, sticking doors, foundation cracks, bowing and leaning walls or leaks. If you have any of these signs, we can assist you with your foundation repairs as well. 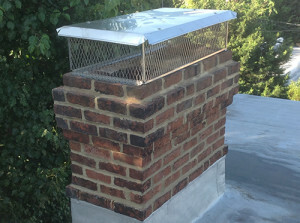 For all your leaning chimney repair needs, contact Reliable Waterproofing and Masonry today. Don’t wait for your chimney to topple over, this is a very dangerous problem, and could be extremely costly if you don’t get it fixed. Call us for an estimate today, so you can rest your mind that your chimney problem is resolved.